Recommencing the long pause in uploads on the Conscious Wave cloud comes the Ottawa-based intergalactic planetary traveller ObsidiaN, bringing CW a full hour of some of the most well-mixed, next-level psychedelic bass music we've heard to date. A past Conscious Wave event performer and a long-time performing artist at Om Reunion Project presents Solstice, Valhalla Sound Circus, The Ritual and more, ObsidiaN continues to flawlessly fuse together multiple styles of heavy, deep, bass-driven music ranging from deep dubstep, midtempo to downtempo and beyond. ObsidiaN's music continues to showcase tribalistic and eastern rhythms, futuristic glitches and massive organic soundscapes over an un-merciful set of ground shaking baselines built for only the highest quality bass bins in the forest. Using music as an expression of art, ObsidiaN flawlessly combines multiple movements in both psychedelic culture and soundsystem culture into one unified live experience on the dancefloor. 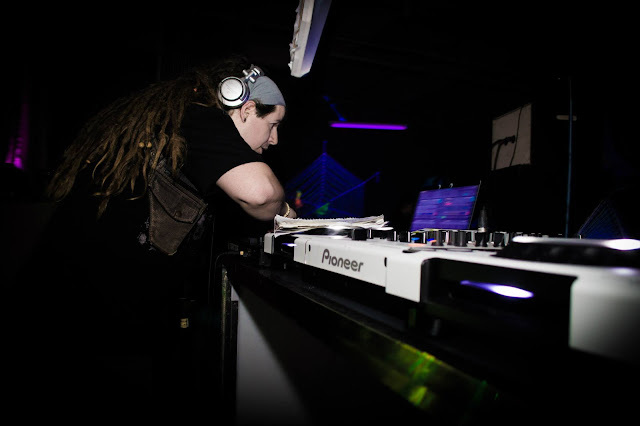 An active artist on the Ottawa scene since 2008, ObsidiaN has had the chance to play alongside notable artists such as Desert Dwellers, Adham Shaikh, Bird of Prey, Kalya Scintilla, The Human Experience, Komodo, Anthologic [hosted by Conscious Wave], LX One and many more. With a massive repertoire of both purchased and acquired music from some of the top labels distributing in 2015, we've decided to hold the tracklist for our listeners and let the music do the talking, at least for a couple weeks.